Microsoft and Nokia will each invest nearly $12 million (9 million euro) in a mobile application development program AppCampus that will focus on innovative apps for Windows Phone and Series 40 handsets. The AppCampus program will be managed by Finland’s Aalto University in the hope to attract students and other creative developers across the globe. Even though it’s global, the university students seem to be the ones that will benefit first and foremost. This joint Microsoft-Nokia investment also officially aims to "strengthen Finland’s competitiveness" and unofficially it seems like it wants to heal some of the bruises after the huge job cuts in Nokia Finland recently. When it comes to applications, Windows Phone has managed to grow at a steady pace and now has over 70,000 applications. Despite coming off short when compared to the hundreds of thousands of apps on iOS and Android, Microsoft’s platform has got most popular apps covered. Still, when it comes to the latest of trending applications, developers ignore the Windows Phone Marketplace and instead turn to iOS and Android first, citing low adoption of Microsoft’s platform. Will the nearly $24 million poured in Windows Phone development change that? Time will tell, but it seems like a step in the right direction. Microsoft has really too much money to burn, seriously. 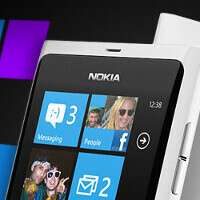 this is great.. im glad microsoft and nokia understand the app market is the only thing holding them back!